GENEVA, SWITZERLAND – I am back today with a few recommendations for this lovely weekend. So, What’s on this weekend? Here’s what: Happy Statehood Geneva! This weekend begins with the big celebration in town: the 200 years since Geneva joined the Swiss confederation. Head to the English Gardens, the Gustave Ador quai (near La Grange Park) or the Rues-basses de Longemalle for a fun-filled, free fair that will rival the Fete de la musique and l’Escalade. My favorite Geneva-band, Aloan will be performing Saturday evening, but if you prefer latin rhythms instead, head to the quai on Sunday for a Colombian palenque or simply listen to any of the more than 20 performances in offer -including many for children. Find the map below (click to enlarge), and see/download the programme here. Tip: On Saturday afternoon don’t miss the parade with hundreds of participants dressed as in the 1800s. 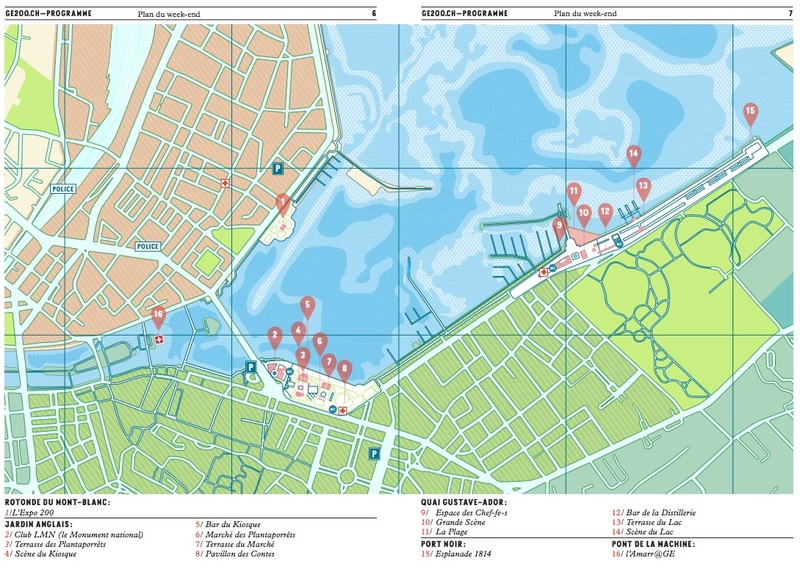 30 May – 1 June: From Wikipedia, “Mapping is creating graphic representations of information using spatial relationships within the graphic to represent some relationships within the data.” Add to that music and you’ll get the Geneva Mapping Festival. A mix of graphic arts, electronica and “tech exploration.” The festival includes a VJ contest, cool lights shows, clubbing and free outdoor gatherings. 30 May at La Gravière: Release party for Geneva-based Vagalalatschk’s new album. Described as Grunk or gypsy groove punk, the group is made up by Polish, Italian, American, French and Swiss musicians that promise to make you groove… well, differently. Also at La Gravière, don’t miss the Argentinian-German duo Mueran Humanos on Thursday 5 June.